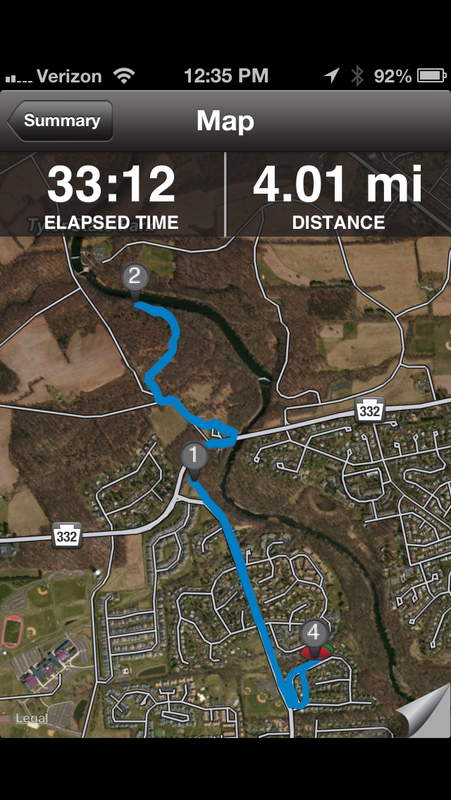 So today I got up early for an easy 4 miles to just shake out the legs. The run was nice and easy and it was a gorgeous morning for a run. Watched the sun come up over the water in Tyler. The legs felt good and I feel ready. I am taking Broad Street more seriously than I have for a race in quite sometime. I am staying downtown tonight with Joe Warwick and a few others who are racing tomorrow. This should make getting to the race a bit easier. I have been thinking about how I am going to race this. My two teammates want to run about the same time I am which is somewhere in the 57+ min range. Joe will likely take it out a bit harder as Bill likes to settle in more. I will likely go with Joe and as this is a course that, I believe, should be raced aggressively. The key is to remain focused until City Hall which is about 1/2 mile past half way. Once past City hall the race seems to pick up. Need to hit halfway in 28+ and be in position to bring it home. Uniform Read for Broad Street..
Saturday is a busy day, kids soccer, birthday party, watch my nephew at a track meet, piano lessons … Typical Saturday. As hard as it is, I am trying to stay off my feet as much as possible and tonight will hit the hay early. Tomorrow is a big one. Time to race well…. Thanks! 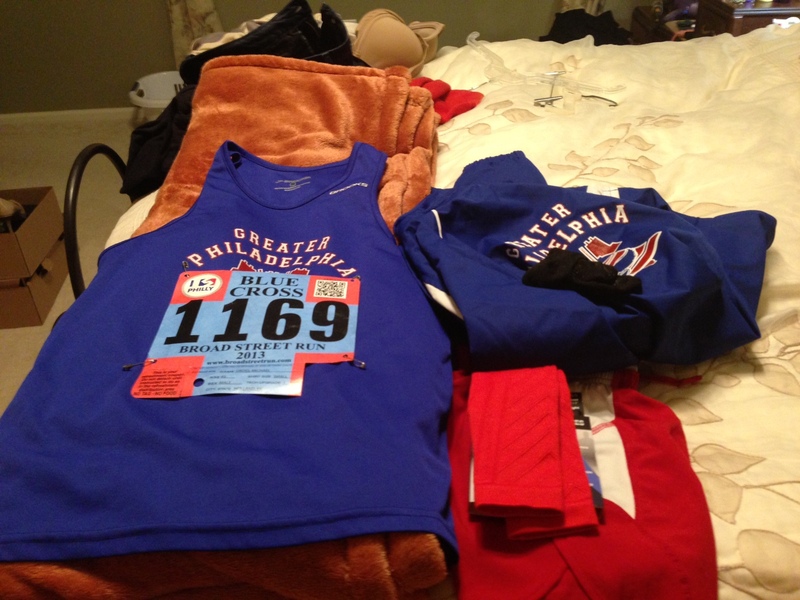 You go Rock the NJ Marathon!